Here is a seven-step model crafted by discussions within the Marin Chapter of the COO FORUM and edited by the Chapter Director, Paul Herrerias. 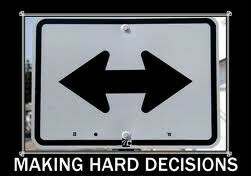 What are examples of Hard Decisions you have recently been asked to make? Whether to accept a job offer. When to fire an employee. Whether to sell my company and to whom. Cutting ties with a pet project or product line. Allocation of resources between competing priorities. Choose between competing business strategies. Choose between competing internal candidates for job promotions. What are possible guides to help you make these tough decisions? What questions do you ask yourself? 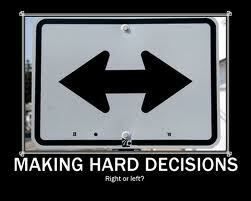 What has helped you successfully make the hard decisions? HOW TO MAKE HARD DECISIONS: A SEVEN-STEP MODEL. Take action, versus only talking and reading about it. Actively seek data to support your decision-making. Put your thoughts to paper. Write them down. Take emotions out of the process. Do an objective analysis. Remember to include yourself and your own personal values. Think of your various roles, as team leader, family member, community citizen, profession member, and other roles…who will you affect? Your TEAM…how does this decision impact my team? My team is greatly responsible for my success today and tomorrow. What is the impact on your organization’s future? Know what you are willing to LOSE in order to WIN in making the right decision. Company Values, Vision, and Mission? Legal review: what is accepted by law? Industry or Trade trends, publications, or advisors. Personal trusted business advisors (cultivate this group in advance of needing them). Seek experts online…digital community gives us much more access than before. Which LinkedIN groups would be relevant? Question already posed on Quora? Put emotions and ethics back into the discussion. Needs of our society and community? Read or re-read the book “Defining Moments: When Managers must Choose between Right and Right.” by Joseph L. Badaracco, Jr. Consider the precedence your decision will set. Is this the message you WANT to convey? The message you NEED to convey? How will you feel if everyone duplicates your decision-making process and conclusion? Will your organization be stronger by following your precedence? Will the world be a better place? Know how you will package your message, communicate your decision, and how it will be implemented. Witness Governor Brown’s recent personal communication surrounding his signing of Brittany’s Law, or the Right-to-Die bill in California. Include your stakeholders in the communications. Focus on the desired vision, and the values supporting your decision, so others can support both your decision and also your decision-making process. So it can be implemented fully. So your decision can be duplicated within your organization. This builds teamwork, confidence, and healthy organizations. 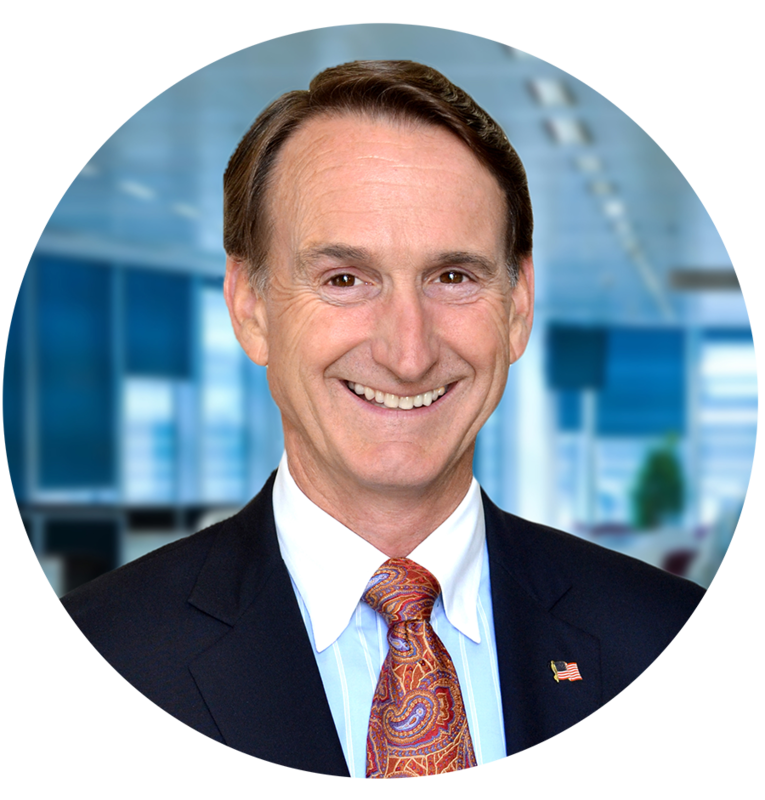 Please comment and add your thoughts…the plan is to update our model with input from thought leaders and executives in our networks like you. Thank you!